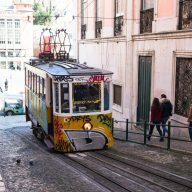 Lisbon is becoming more and more popular among digital nomads and expats. It attracts them with the beauty of the architecture, the atmospheric streets and relatively low costs of living. Settling down here is not that easy though and one of the major problems immigrants and expats face is accommodation. If you don’t have a large budget and you’re in a hurry, you might find it very difficult to find something suitable. I came to Lisbon in September. We were looking for somewhere to stay for a month. At that time we lived in Airbnb, which cost us quite a lot, especially that the conditions weren’t that great. After a week I was stressed out and quite afraid I would have to go back to Germany. Luckily, we managed to find an apartment, which unfortunately doesn’t fit our previous expectations. I hope that thanks to the below post you will have an easier task with finding long-term accommodation in Lisbon. 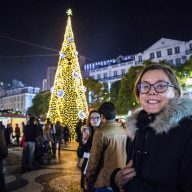 Why is it so difficult to find an apartment in Lisbon? The first reason is that the capital of Portugal is a beloved place among students from all around the world. Every semester hundreds of them come here to study and each of them needs a place to say. If you come to Lisbon at the beginning of the school year, forget about getting something in a decent price. The second reason is Airbnb. On the streets of Lisbon, you will see signs saying ‘Airbnb destroys Lisbon’. Because of this beloved by travelers site, the city becomes a very uncomfortable place to live for the locals and those wanting to stay here longer. There are stories about older people in Alfama, who were evicted because their tenement houses are being sold out to developers, renovated and then rented out to tourists. There is a lack of private flats, especially in the center and the rental prices on Airbnb reach cosmic levels. The third reason is a very strange thing, which you will certainly notice when you come to Lisbon – many houses are empty and they rotten away. Why? It has been impossible for me to establish that. I heard that old people donate their flats to a Christian organisation in their wills. Apparently, they have so many properties that they can’t be bothered with renovating them and renting them out. Another story I’ve heard was that the law tells people to choose an administrator for their buildings. Their role is to look after everything and mind that the property has everything that people need. When there are no administrators anymore, the building falls apart. I don’t know how much any of this is true. If you know any other theories, let me know in the comments. 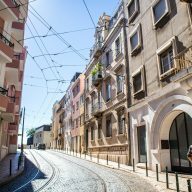 How to find an apartment in Lisbon? 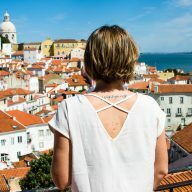 Do you want to find an apartment in Lisbon for a few months, or even longer? You have quite a task ahead of you. I hope that I can help you a little with that. The ads clearly state what type of apartment you’re looking at and how many rooms it has. T0 is a studio flat, T1 – one bedroom, T2 – two bedrooms, and so on. Rooms to rent are marked in English, or in Portuguese – quarto para alugar. Accommodation in the capital is quite expensive if you compare it to the cost of living in Lisbon. An 80 square meter apartment will cost around 850 Euros. A one bedroom apartment, outside of the city center will cost around 660 Euros. A studio flat costs 500 Euros. Bills for water and electricity are around 45 Euros per month per person. I always say that it’s best to arrive at your destination and then start looking. It’s different when it comes to Lisbon. Because it’s so hard to find anything in a reasonable price, it’s best to look around before you come here. Maybe you’ll be lucky and you’ll be able to contact the owner and talk to them on Skype. Renting an apartment when you’re not in Portugal is risky, but at least you’ll have somewhere to stay when you arrive. The best time to look for a place is the semester break. It’s good to come here in June or in December. Erasmus students finish off their studies and they leave the city. You have a better chance to rent something then. December is a better time to look for something than the summer holidays when there are a lot of tourists in the city and the prices are really high. I must say that I don’t have great experiences with Airbnb in Lisbon. At the beginning, we rented a room near Alfama. The area was great, but the flat was old, cold and with a shared bathroom, which wasn’t the prettiest either. Wooden floors squeaked every time someone passed our room. The flat had 2 more bedrooms and there were people constantly moving in and moving out. At first, it was ok and it didn’t bother me that much, but when I started working it became unbearable. We paid 45 Euros per night – the lowest rate at that time of the year. Airbnb in Lisbon is very expensive. You will pay as much as 600 Euros per month for a room (considering that you’re able to find something long – term). Lisbon is full of tourists at any time of the year and it’s really hard to rent a flat for longer than a week, or two. However, you might be lucky and you can try to negotiate something with the owner. Uniplaces is a site for students. You will find small apartments and rooms to rent there. Prices are a little lower than on Airbnb, but you need to be aware of hidden costs. Very often the landlords add a very high fee for cleaning and the deposit. The owners on Uniplaces quite rarely answer questions and it’s hard to contact them. I heard a lot of terrible stories about scammers that operate on that site, they ask for a very high deposit and then they disappear without a trace. I know, however, that there a lot of people who rent rooms on Uniplaces, so maybe it’s worth taking the risk. We tried to contact a couple of people from the ads as well as the administration, but we never got any answers. 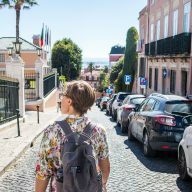 Couchsurfing is a good option and it’s worth asking there about flats to rent before you come to Portugal. During the semester break there are always a few ads, so keep an eye on the site. Just bear in mind that there are usually rooms to rent available. There are quite a few Facebook groups, too, where landlords put ads. I wouldn’t rely on those too much as there aren’t that many of them and the interest is really high. The best solution when it comes to finding an apartment in Lisbon. If you’re coming to the capital of Portugal during the summer season, it’s best to just sit and refresh the sites all day. Ads appear and disappear very quickly. The websites are used mainly by real estate agents, but private landlords use them, too. When you find something suitable, you can contact the person straight away by using their email or their phone number, which is always placed at the bottom of the ad. 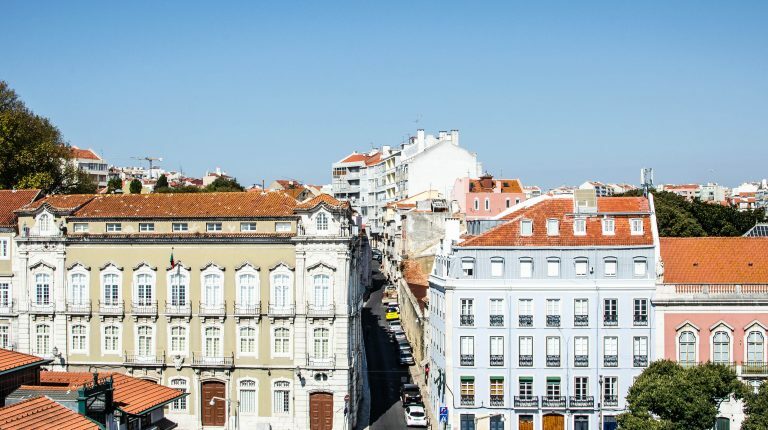 Like any other country, Portugal has its own rules when it comes to renting a flat. Before you come here, you need to know about a few important facts. If the ad looks too good to be true, it probably is. For example, there are a lot beautiful apartments to rent for as little as 500 Euros on Craigslist. The photos are usually copied from Airbnb. The person who put the ad, the ‘owner’ of the flat, will be extremely polite at first. They will answer all of your questions and will reply to your emails straight away. Then, after you offer to pay the deposit straight away, they will tell you they aren’t in Lisbon and you can pay in the deposit to their bank account and after that, you can pick up the keys from their friend. Don’t get fooled! Your money will disappear along with the ‘owner’. Contacting the owner or the agency might be a problem. Sometimes they don’t speak English and can hang up on you when they find out you don’t speak Portuguese. They also don’t answer any questions, they don’t pick up the phone, or they say they have so many people interested that they can’t take anyone else. It’s best to send an SMS in Portuguese (you can use Google Translate) and then make an appointment. Flats for rent very often are not registered as places to live because the owners don’t want to pay taxes. They register their properties as offices. Because of that, you pay the rent in cash and you don’t sign any contract. You need to trust the owner. That’s the only way. However, some landlords are honest and they want to pay taxes. If you stumble upon someone like that, you will need to sign a contract. In order to do that you need your NIF, insurance number and a bank account. And to get all of those things you need to be either employed or self-employed in Portugal. Such a registration is not easy and requires a lot of work and patience. The amount of deposit depends on the owner. For our apartment, we paid 2 months of deposit plus one month of rent. The deposit won’t be returned in cash, but we will not pay for the last 2 months. In another apartment that we wanted to rent, the deposit was 6 months in advance plus one month of rent, which was around 3,900 Euro! It turns out that it’s a common practice here and such a high amount is quite normal. I really didn’t want to give anyone that kind of money without a guarantee that it will be returned to me. 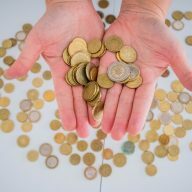 Bills, as well as the internet in Lisbon, are not included in the rent and you have to pay them separately. Apartments are often dark and cold, especially those in Alfama – there they have high ceilings and wooden floors that don’t keep any warmth. Mould is a common problem. In old buildings, there is no heating nor isolation. In the winter it’s colder inside than it is outside. In January and December, it rains a lot and the walls are covered with mold. It’s good to buy an electric heater and if you have an air conditioner you can use that to heat up your place. Luckily, the weather in Lisbon is quite good and the temperatures don’t drop below zero. Before you rent a flat, check the area well. Find out if there are any shops and supermarkets around. Many people decide to stay in the center, where doing shopping is a bit harder because the nearest shops are far away and there are a lot of hills. I really wouldn’t like to carry heavy bags up one of them, especially during one of the hot summer days. Previous Post: « Bairro Alto: Don’t miss these places!